Sweet Cheeks Adventures: Oriental Trading at Christmas Time! Oriental Trading at Christmas Time! A special Thank You to Oriental Trading for sponsoring today's conversation about Christmas! 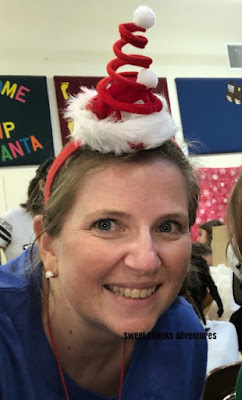 If you ask many people, "What is Christmas all about? ", they may reply back with some answer containing decorations and gifts. Of course we all know the story behind the reason of Christmas but everyone loves getting and giving this time of year's special tokens. No matter the size, its the thought that matters. 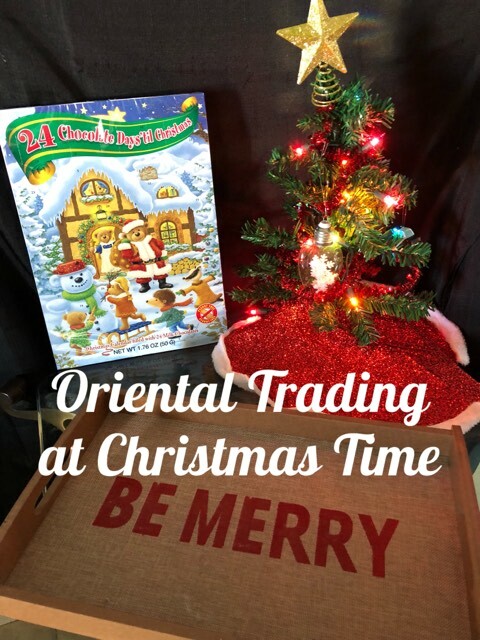 Oriental Trading helped me a lot this year when it came to decorations and a few really cute gifts! Gifts for friends, my in-laws and the children's teachers! Decorations for the tree, for my head and more! That's right, I said for my head! Every year I lead a Girl Scout camp out. This year I chose Oriental Trading for the place to find my awesome head piece! I did not disappoint and never did the HEADBAND! I took the blinker tag off on Friday afternoon and Tuesday morning (4 days later) its still blinking! My only wish is that I would have kept the blinker tag so I could save the battery. 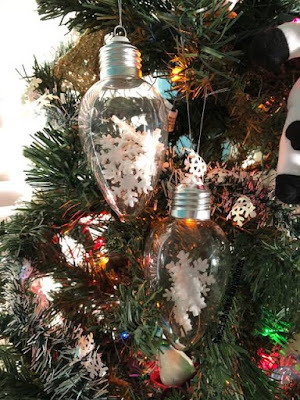 I ordered the most beautiful snowflake bulbs also! They came in a set of 6. Each has 4 snowflakes in them. They're a perfect addition to my tree this year! There are so many more ornaments to browse through. Ones to personalize, gift, or keep for yourself. Always remember to treat yourself! 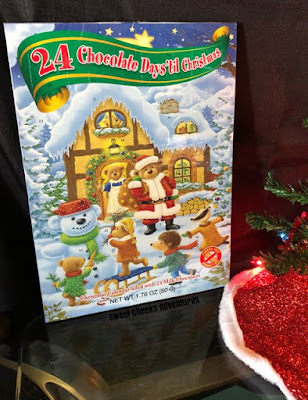 Advent Calendars have always been a big part of my family's Christmas Traditions. You might understand my excitement when I found a 4 pack of calendars with the chocolate inside! It took me back to being 5 years old on Bunny Hill Farm. Nannie always had the chocolate calendar and the first grandchild to punch out the date got to eat the chocolate! Now I can share that memory with my 2 little rascals! Christmas is going to be a little more special this year with all of the goodies I found on Oriental Trading. I wanted to order the whole site, but clearly that didn't happen. There are so many more options for every taste! Stocking stuffers, gifts, and so much more! Will you be shopping Oriental Trading this Holiday Season?